From the Publisher: Warfare is usually theorised in the categories of jus ad bellum (justification for recourse to force) and jus in bello (rules applicable in armed conflict). 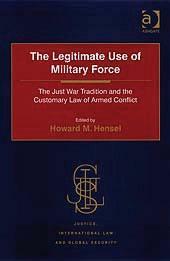 The challenge of establishing fair and sustainable peace after conflict (jus post bellum) has received less attention in existing law and practice, although it has an established tradition in just war theory. This book sheds a fresh light on the use and relevance of the concept of jus post bellum in contemporary international law and policy. It examines the origins and foundations of the concept from an inter-disciplinary perspective. Moreover, it identifies some of the features and challenges of a framework governing transitions from conflict to peace, such as the treatment of sovereignty, accountability and local ownership, the relationship of jus post bellum to jus ad bellum and jus in bello and the role of human rights law and transitional justice. From the Publisher: Throughout human history, scholars, statesmen and military leaders have attempted to define what constitutes the legitimate use of armed force by one community against another. Moreover, if force is to be used, what normative guidelines should govern the conduct of warfare? Based upon the assumption that armed conflict is a human enterprise and therefore subject to human limitations, the Western ‘just war tradition’ represents an attempt to provide these guidelines. Following on from the success of Hensel’s earlier publication, The Law of Armed Conflict, this volume brings together an internationally recognized team of scholars to explore the philosophical and societal foundations of just war tradition. It relates the principles of jus ad bellum to contemporary issues confronting the global community and explores the relationship between the principles of jus in bello and the various principles embodied in the customary law of armed conflict. Applying an interdisciplinary approach to analyzing and assessing the links between just war and the norms of behaviour, the book provides a valuable contribution to international law, international relations and national security studies. 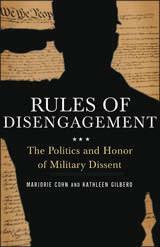 From the Publisher: Rules of Disengagement examines the reasons men and women in the military have disobeyed orders and resisted the wars in Iraq and Afghanistan. It takes readers into the courtroom where sailors, soldiers, and Marines have argued that these wars are illegal under international law and unconstitutional under U.S. law. Through the voices of active duty service members and veterans, it explores the growing conviction among our troops that the war is wrong. It then examines what they have done—and what readers can do—to resist and end the U.S. occupation of Iraq. From the Publisher: In Defending Humanity , internationally acclaimed legal scholar George P. Fletcher and Jens David Ohlin, a leading expert on international criminal law, tackle one of the most important and controversial questions of our time: When is war justified? When a nation is attacked, few would deny that it has the right to respond with force. But what about preemptive and preventive wars, or crossing another state’s border to stop genocide? Was Israel justified in initiating the Six Day War, and was NATO’s intervention in Kosovo legal? What about the U.S. invasion of Iraq? In their provocative new book, Fletcher and Ohlin offer a groundbreaking theory on the legality of war with clear guidelines for evaluating these interventions. The authors argue that much of the confusion on the subject stems from a persistent misunderstanding of the United Nations Charter. The Charter appears to be very clear on the use of military force: it is only allowed when authorized by the Security Council or in self-defense. Unfortunately, this has led to the problem of justifying force when the Security Council refuses to act or when self-defense is thought not to apply–and to the difficult dilemma of declaring such interventions illegal or ignoring the UN Charter altogether. Fletcher and Ohlin suggest that the answer lies in going back to the domestic criminal law concepts upon which the UN Charter was originally based, in particular, the concept of “legitimate defense, “which encompasses not only self-defense but defense of others. Lost in the English-language version of the Charter but a vital part of the French and other non-English versions, the concept of legitimate defense will enable political leaders, courts, and scholars to see the solid basis under international law for states to intervene with force–not just to protect themselves against an imminent attack but also to defend other national groups. From the Publisher: In January 2002, the first flight of detainees captured in the “Global War on Terror” disembarked in Guantanamo Bay, dazed, bewildered, and–more often than not–alarmingly thin. Given very little advance notice, the military’s preparations for this group of predominantly unimportant ne’er-do-wells were hastily thrown together, but as Karen Greenberg shows, a number of capable and honorable Marine officers tried to create a humane and just detention center–only to be thwarted by the Bush Administration. The Least Worst Place is a gripping narrative account of the first one hundred days of Guantanamo. Greenberg, one of America’s leading experts on the Bush Administration’s policies on terrorism, tells the story through a group of career officers who tried–and ultimately failed–to stymie the Pentagon’s desire to implement harsh new policies in Guantanamo and bypass the Geneva Conventions. She sets her story in Camp X-Ray, which underwent a remarkably quick transformation from a sleepy naval outpost in the tropics into a globally infamous holding pen. Peopled with genuine heroes and villains, this narrative of the earliest days of the post-9/11 era centers on the conflicts between Gitmo-based Marine officers intent on upholding the Geneva Accords and an intelligence unit set up under the Pentagon’s aegis. The latter ultimately won out, replacing transparency with secrecy, military protocol with violations of basic operation procedures, and humane and legal detainee treatment with harsh interrogation methods and torture […]. This entry was posted in International Peacekeeping, Law of Armed Conflict, Library Highlights, Military Law, Recent Acquisitions, Thomas Jefferson School of Law and tagged Gitmo, Guantanamo Bay, Law & War, legitimate defense, Marjorie Cohn, military dissent, preemptive war, War on Terror. Bookmark the permalink.